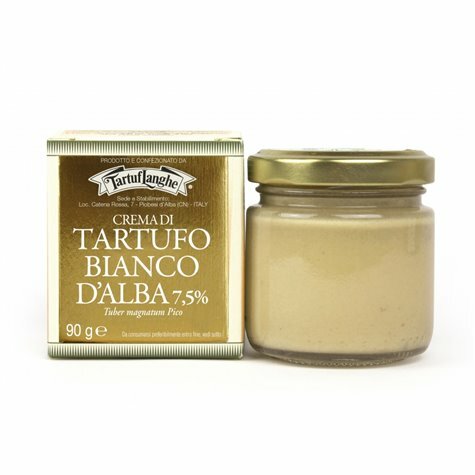 The finest truffle, The White truffle from Alba, for the most precious cream. 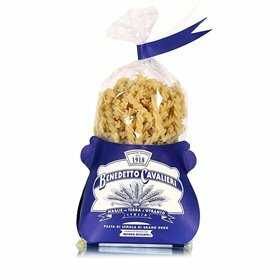 A unique pleasure, a well deserved treat. 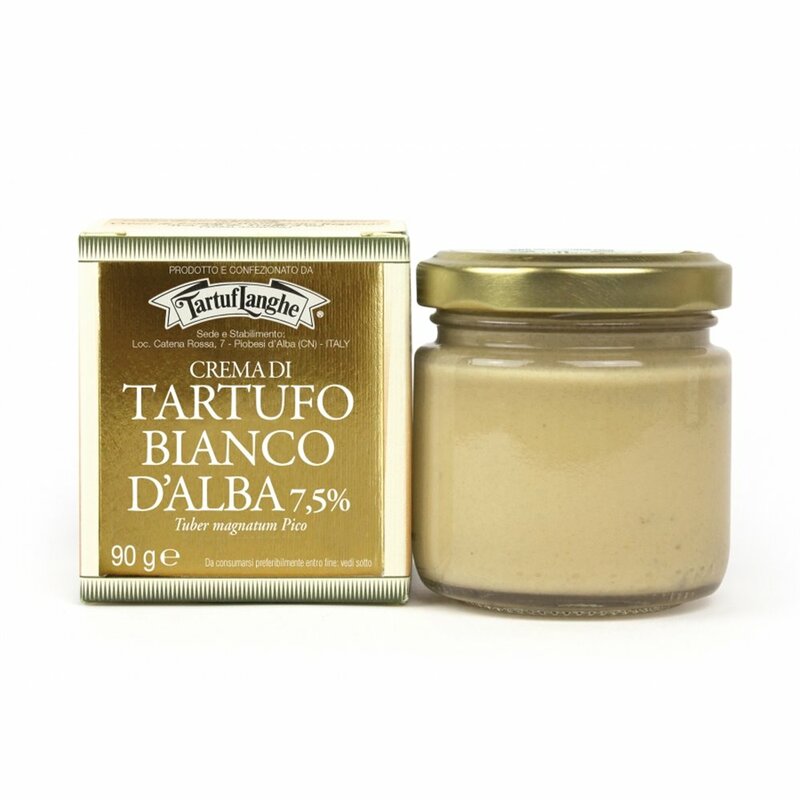 This cream that preserves all the flavor, the taste and the aroma of the White Truffle from Alba (Tuber magnatum Pico) raises from the finest ingredients and the most precious truffles -carefully chosen-. 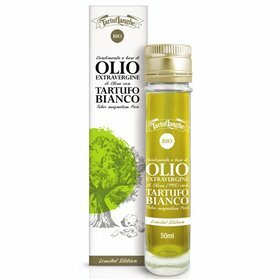 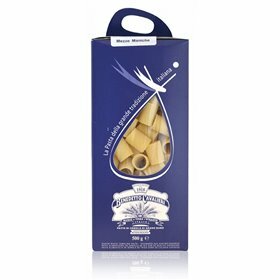 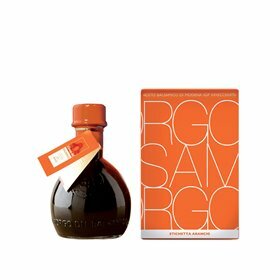 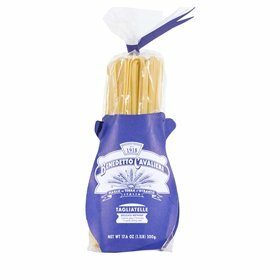 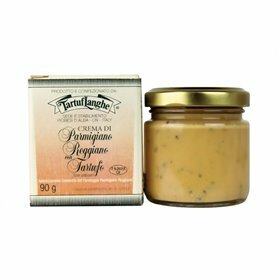 An exclusive product that can be used in different recipes enhancing creativity: on hot dishes, like pastas, risottos or to intensify sauces and creams. 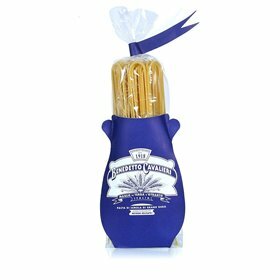 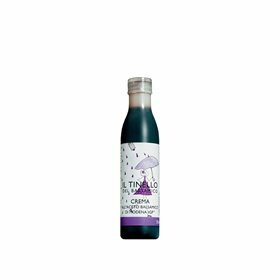 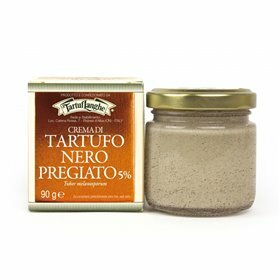 In a ready to eat version, it gives its best, served warm and spread on hot toasts or blinis, to regale all the passionate truffle lovers with its peculiar taste. 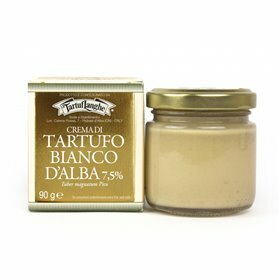 Zutaten Milch, Sahne, weisse Trüffel (Tuber Magnatum Pico) 7,5%, Butter, Weizenmehl, Maisstärke, Salz, Pfeffer, Muskatnuss, Aromastoff.